Hedwig: After my divorce from Luther I scraped by with baby-sitting gigs and odd jobs - mostly the jobs we call blow. I had lost my job at the base PX, and I had lost my gag reflex. You do the math. 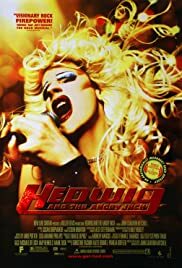 I am a Male to Female Transsexual and this movie has helped bring across some of what we face in our lives. It did it in a way with comedy with an underlying love story. The story starts as a child and follows her throughout life until her dreams (well some of them) are met. There are may twists and turns along the way making this more realistic to me, a transsexual at the end of her long road of discovery. It is tender to a point of bringing tears and full emotions to you. Only problem I have is that Hedwig is making fun of her condition, caused by a messed up surgery, Thank goodness she can continue to see the good in things, or can she!! !